LIA, a world-leader in laser safety training, has released their 2019 laser safety training schedule for its classroom courses. The Laser Safety Officer (LSO) Training, Medical LSO Training, and the LSO with Hazard Analysis Training, will be offered quarterly in Orlando, FL as classroom-based training, while the online versions of the LSO and Medical LSO training will be available year round. LIA’s two-day Industrial LSO Training will continue to be offered as a classroom course on a quarterly basis at IPG Photonics Corporation's Midwest Operations in Novi, MI. As more companies and labs integrate laser technology into their work, the need for trained laser safety professionals also grows. Recently celebrating fifty-years of supporting the safe use of lasers, LIA has now announced intentions to improve the user-experience for its online and in-house course offerings. This forms part of LIA’s continued efforts to support laser users by increasing their accessibility to training. According to the American National Standard Z136.1 Safe Use of Lasers, it is the responsibility of the employer to ensure the safe use of lasers owned by and/ or operated in facilities under its control; part of this responsibility is to establish a safety program to control laser hazards, appoint a laser safety officer (LSO), and provide appropriate training for the LSO. 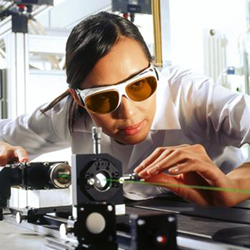 LIA offers training for newly appointed LSOs as well as laser safety awareness training online for non-LSO employees who work with or around lasers. For more information about training, contact LIA at lia(at)lia.org or 1.800.345.2737.